Now that my office area lives in our master bedroom, I have hung some artwork over my desk to personalize the space. 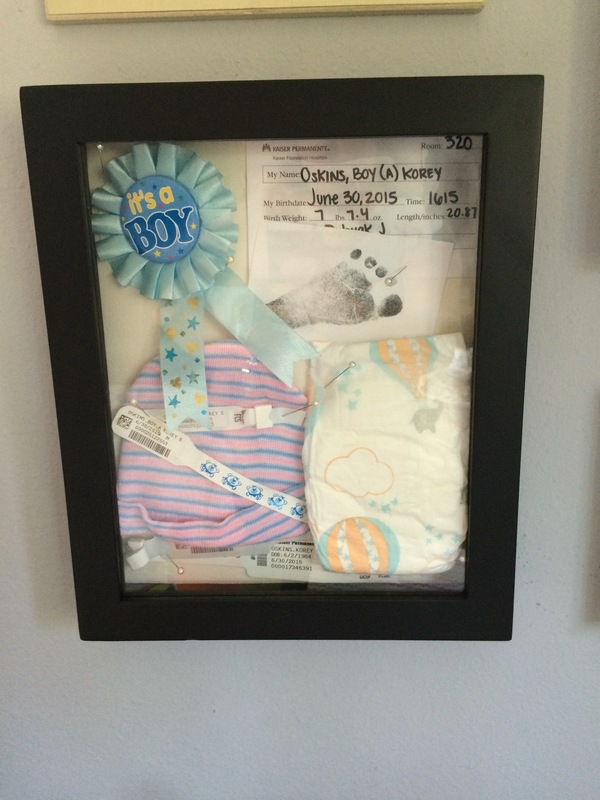 i had made a shadow box frame of Jacob’s newborn mementos, so I made another for Jackson. 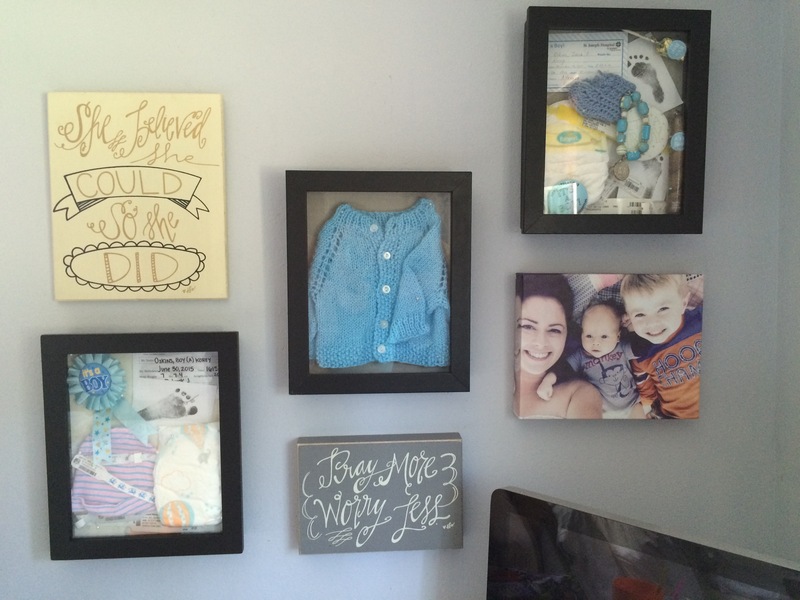 I also framed a beautiful sweater that my grandmother’s best childhood friend made for Jacob. She has since passed away, but is not forgotten! 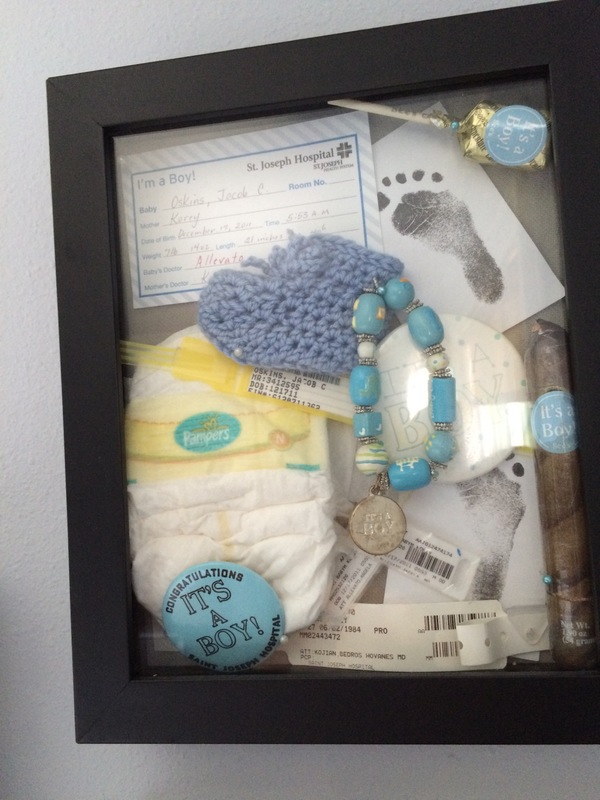 This entry was posted in baby O, Baby O2, crafts, design, house and tagged art, baby, bootie, bracelet, button, candy cigar, canvas wrap, diaper, DIY, footprint, frame, Handmade, hat, hospital, inspire, it's a boy, items, memento, newborn, pocturr, remember, ribbon, shadowbox, three dimensional. Bookmark the permalink.